Regular readers will be aware of the lack of recent articles. 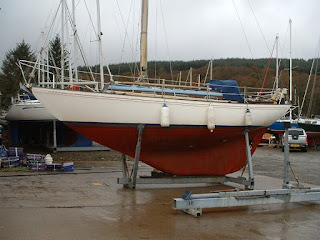 My custom for many years has been to post to my websites (no longer active) and to my blog on a daily basis, mostly about boating activities, boatbuilding, sailing and yachting. However, the time has come when I feel I can no longer keep to a daily schedule. I find it simply too demanding. 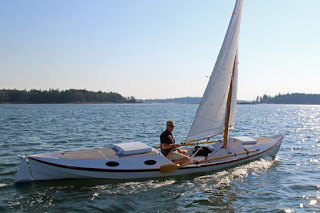 Likewise, my energy and enthusiasm for activity on the water has become much diminished on account of physical demands that I can no longer meet. 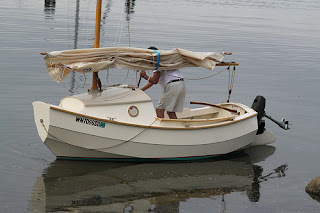 In view of the reality I’m forced to accept that postings in future to the blog will be sporadic, but I shall keep it active, i.e., running online to be used as a resource. 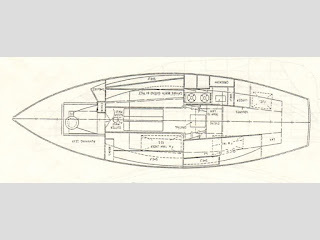 To get the best out of it I suggest visitors should look for whatever may interest them by typing subjects into the ‘search’ box in the top lefthand corner of the Homepage. If you are interested in a particular sailing boat you may prefer to look at an alphabetical list to be found at my Small Sailboats page: http://bills-log.blogspot.co.uk/p/small-sailboats-here-are-links-to.html and if you want to read my Cruising Logs go to: http://bills-log.blogspot.co.uk/p/cruising-logs.html . 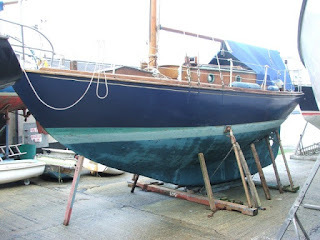 Thank you to all who have followed the blog, and in particular my thanks go to those who have added comments, especially to those who have given of their time to inform us in detail of facts, thoughts and opinions. 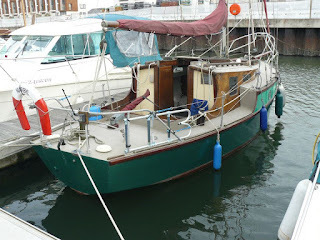 To those of you who have taken note of my occasional references in this blog to the Bible and the Christian Faith, I would like you to know that I have started a new blog called ,’The Biblical Way’. Here’s a link to it: https://thebiblicalway.blog . I shall not be doing daily posts, as I did with 'Bill's Log', but I shall upload articles when I feel I have something to say. 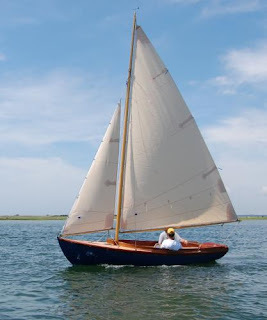 Robert Clark first made his mark in the early 1930s by designing his 39’ Mystery Class* cutter, a very successful crusier/racer, much praised by Dr. T. Harrison Butler in a Yachting Monthy magazine writeup. 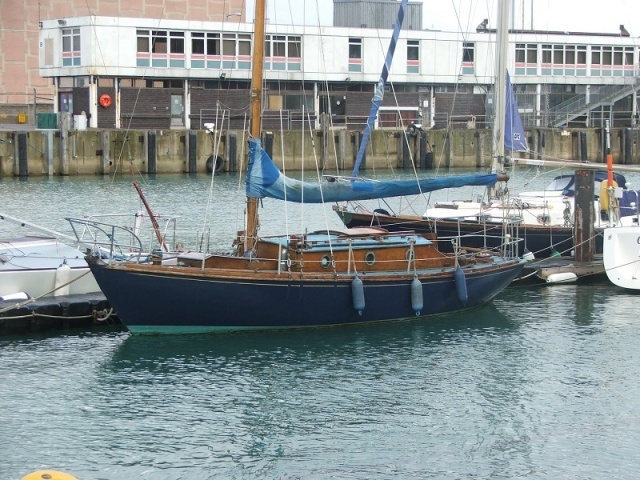 A number of them were built at Sussex Yacht Works, Shoreham, before World War Two. 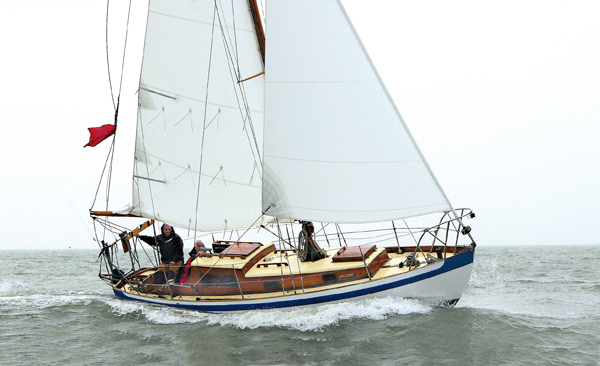 Robert is also famous for designing ocean racing yachts for single-handers such as Francis Chichester’s ‘Gypsy Moth lll’ and Geoffrey Williams’s ‘Sir Thomas Lipton’, both participating in the Observer Single-handed Transatlantic Races. 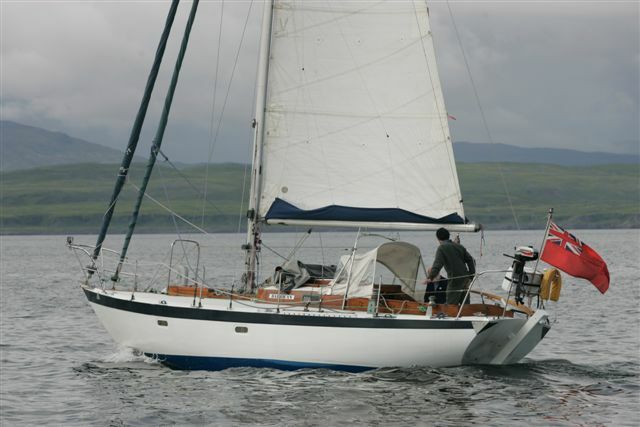 He also designed Chay Blyth’s ‘British Steel’ that Chay sailed non-stop from east to west around the world against the prevailing winds. 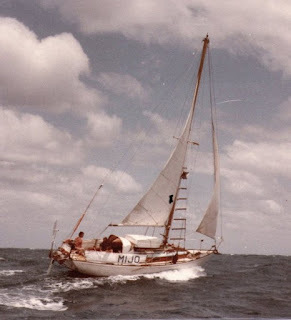 His boats were competitive in the Admiral’s Cup races, notably ’Jocasta’ in 1957 and ‘Caprice of Huon’, in 1965 and 1967. 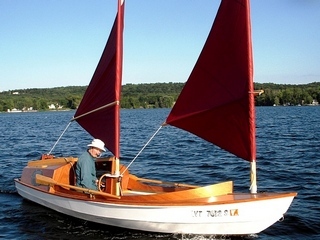 Not content with that he designed the standard 70’ Ocean Youth Club’s training vessels. With regard to Clark’s Yachting World 5 Tonner, she’s a bit different, being designed for coastal cruising and occasional racing. 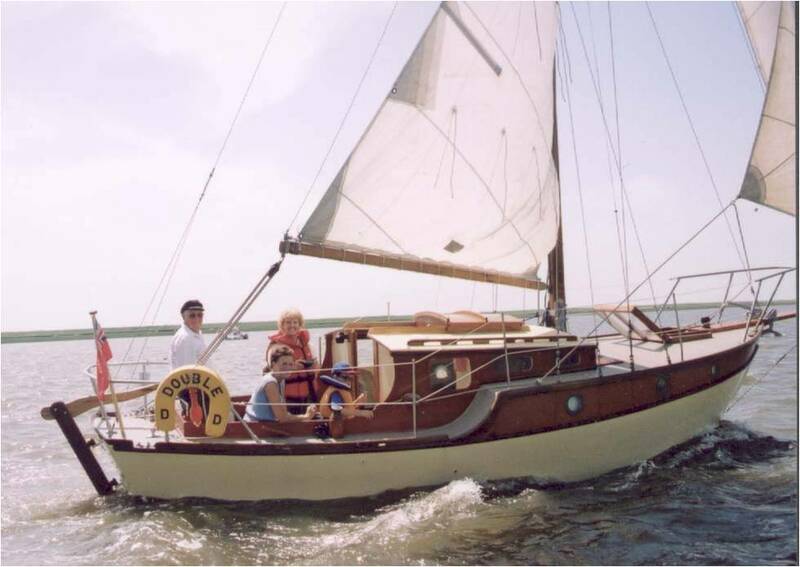 Smaller and with a transom, she lacks the elegance of his larger yachts, but she has a good turn of speed and impeccable handling. 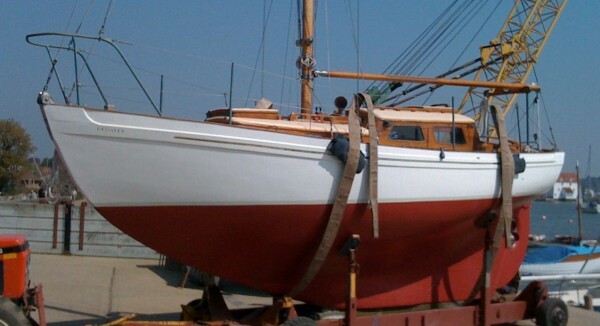 You need only see her out of the water to appreciate her slippery lines. 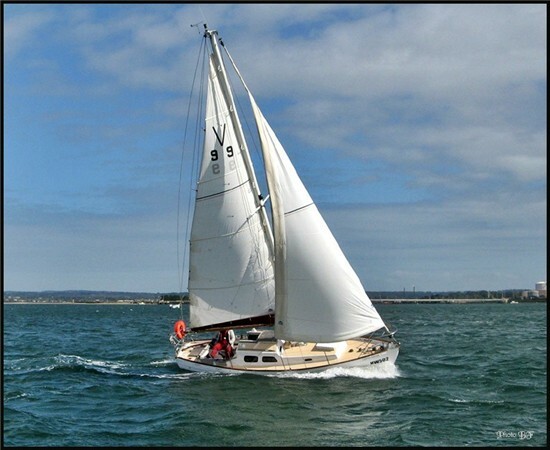 You know her average cruising speed will be at least 4 knots to the delight to those aboard. With metacentric balance she’s going to be light on the helm. 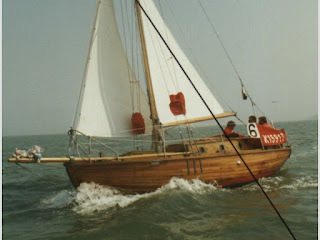 She’s what you would call a ‘proper’ yacht, stoutly built by Robert King of Burnham from teak and mahogany on steamed oak timbers or by Carnell Brothers of Maylandsea, from pitch pine and larch on oak. 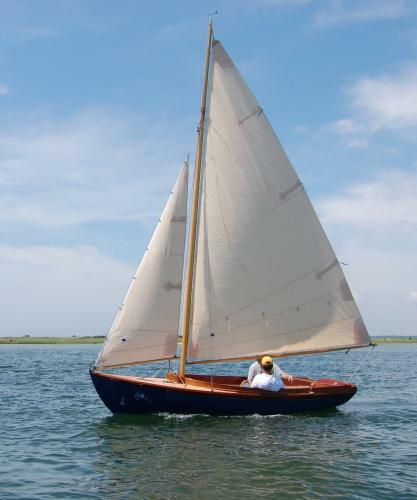 Her long, cast iron keel gives ample stability and holds her on course. 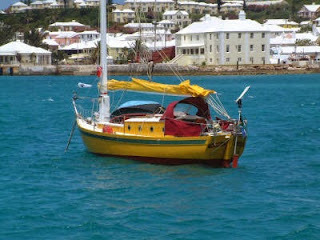 Sleek lines aft leave hardly a trace by way of a wake, save for a few ripples, soon lost in the vastness of the ocean. 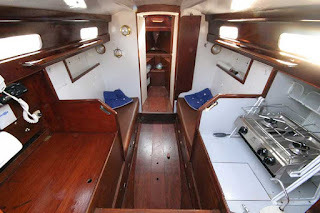 Her deep cockpit, high coamings, wide side decks, guardrails, pulpit and pushpit are all excellent safety features. 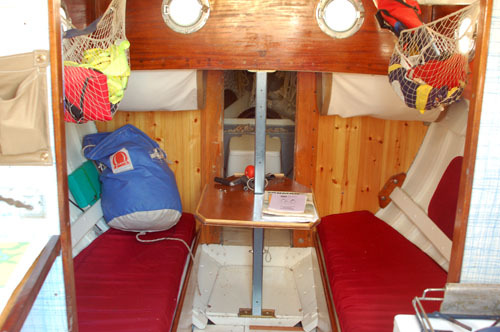 Down below in the warm glow of her varnished wooden cabin there are two settee berths, one either side of a centrally fixed folding table. There’s a quarter-berth opposite a well-equipped galley to starboard with a gimballed twin burner paraffin cooker and a sink with pumped freshwater. Under her companionway there’s a reliable Stuart Turner 11 HP Sole diesel engine. Forward of the mast in the forepeak, there’s a Baby Blake sea toilet with a ventilation hatch above. For an introduction to the history and the development of the class, from wooden construction to GRP, have a look at this Australian website*** by the owner of ‘Corio Vertue’. Cruisers’ Forum - ‘Is a 25 toot Vertue too small for extended cruising? Many yachtsmen will have affectionate memories of sailing and owning boats that were designed by Maurice Griffiths, and perhaps thousands of amateur boatbuilders will have had enormous satisfaction from building boats according to his plans. 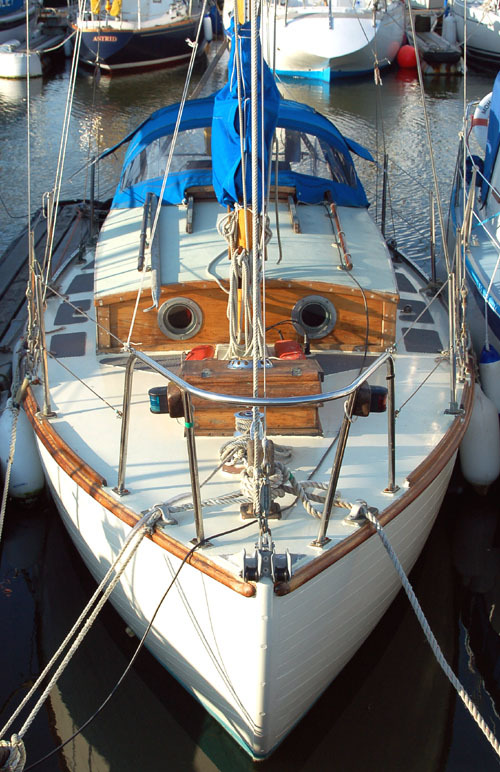 When Bill was older, he built for himself an Eventide 26 that he named ‘Ishani’. 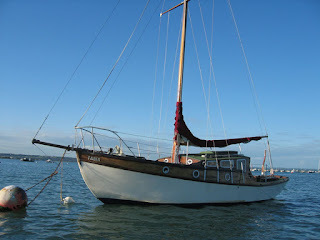 Together we sailed her on the waters of the Bristol Channel and to the Isles of Scilly. Our biggest adventure was an extended cruise to La Corunna. 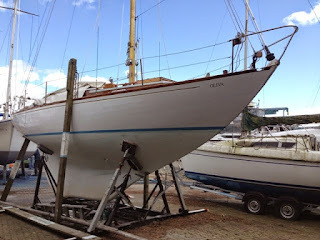 *** We had hoped to sail to the Azores, but circumstances dictated otherwise. 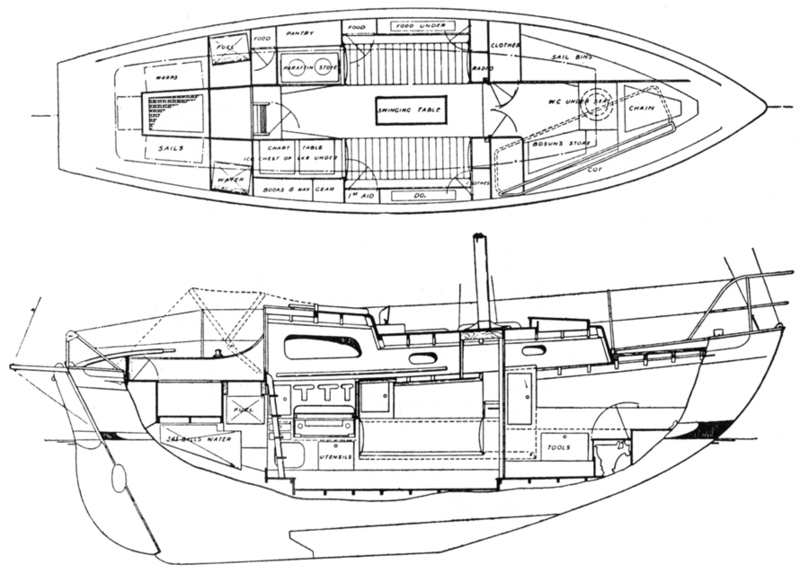 In view of recent comments about popular yacht designers and their designs, I think it’s worth revisiting some of their classic yachts. 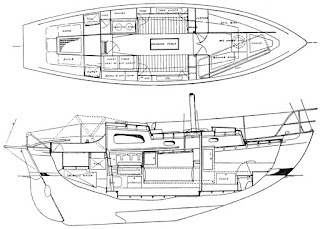 The first for consideration is C. R. ‘Kim’ Holman (1925-2006) who must have designed well over 50 yachts, many of them built by different yards in various places around the world. 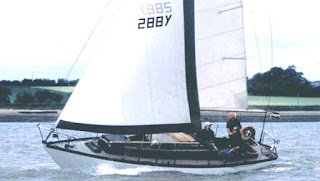 My favourites are his Stella and the Elizabethan 29 and the Twister 28, but by far the most desirable for me is the Twister 28. If there’s anyone who wants a Twister and can afford one (unlike me), there’s no shortage of them on the secondhand market. 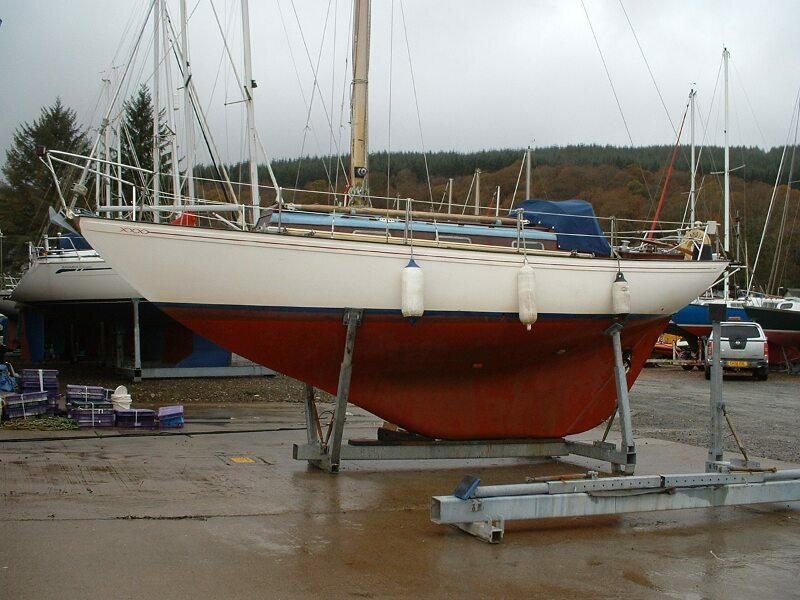 You need look no further than the Twister Class Association's website* to find details of 14 for sale (at the time of writing) ranging from a 1984 GRP version at £28,000 to a 1964 wooden original at £14,000. 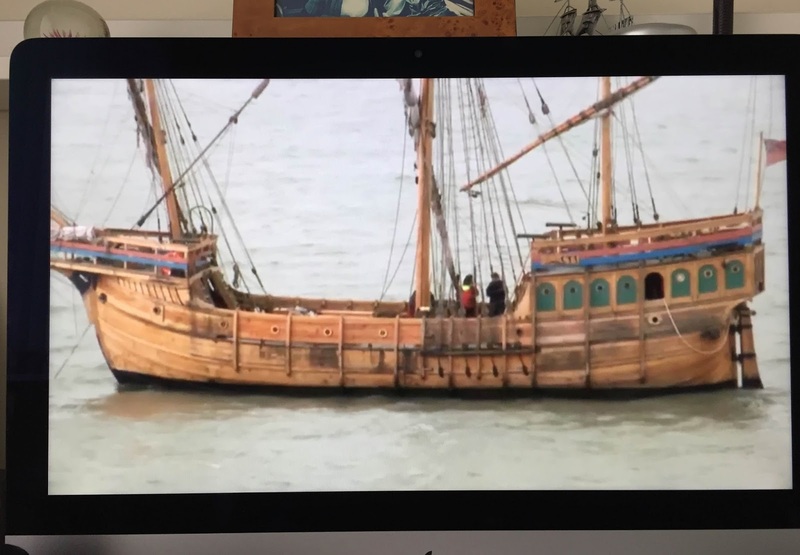 Over the past few days there’s been a remarkable series of TV programmes on BBC 4, written and presented by Tom Cunliffe. Tom has sailed across oceans, owned several yachts, and he is as passionate as ever about all manner of sailing craft since he first started boating on the Norfolk Broads in 1961. 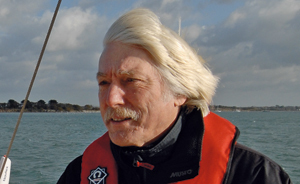 He has earned a living as a yachting journalist, consultant, tutor, lecturer and presenter. 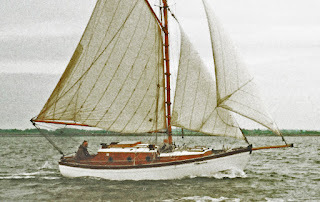 Six half-hour programmes tell the stories of how certain vessels or types of vessels have helped shaped Britain’s heritage - all of them, with the exception of one, were powered by the wind. At the time of writing, (16th December, 2015) these programmes are freely available to viewers who have access to a BBC iPlayer. 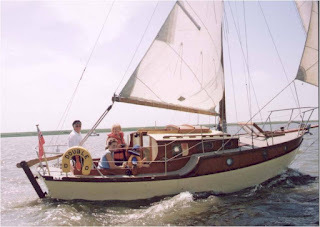 I’ve seen every episode, and I highly recommend the series to anyone who loves sailing boats. You will not be disappointed. 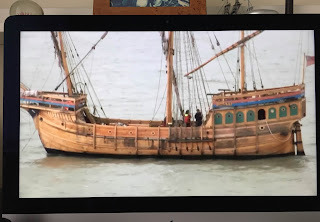 The Matthew - She was sailed across the Atlantic in 1497 by John Cabot and his stalwart crew. 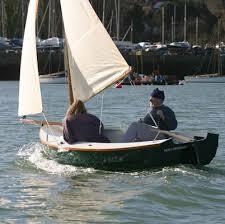 Sailing into the unknown, they discovered North America and gave it the name, ‘Newfoundland’. 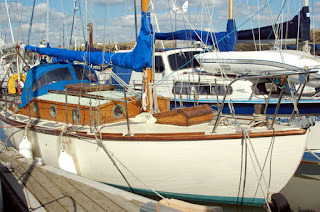 The Pickle - She brought back news of Admiral Nelson’s victory at Trafalgar. 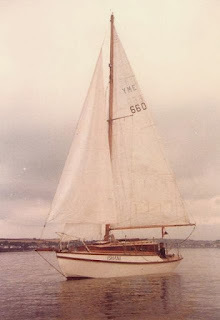 The Phoenix - A square-rigger, typical of many that help transform Britain into the richest and most powerful nation on earth. 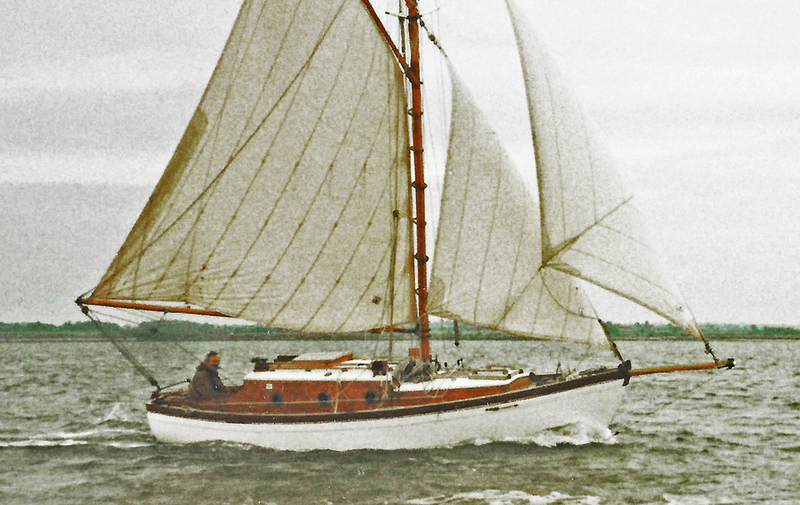 The Reaper - She was the largest of hundreds of herring fishing vessels, capable of working offshore in the harshest of conditions. 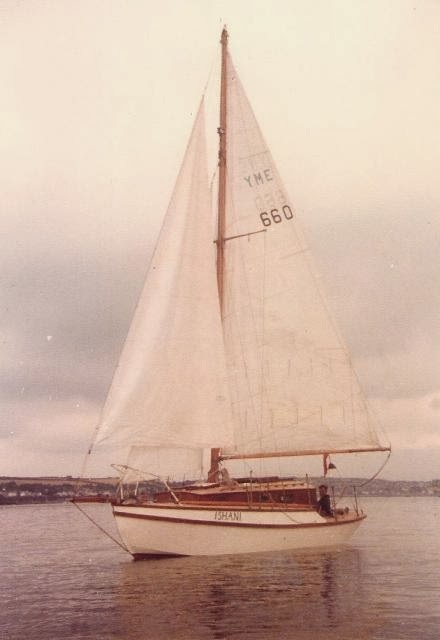 Bristol Channel Pilot Cutter - In her time, she was the fastest and most seaworthy of vessels, designed and built for conveying pilots to incoming merchant shipping. The waters of the Bristol channel are notorious for their treachery, on account of the extreme range of tide and fast currents. 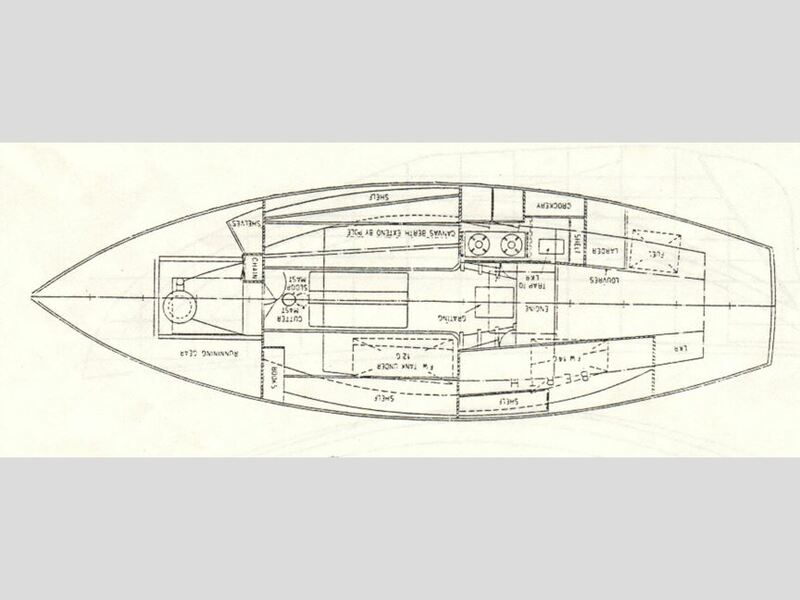 The Landing Craft (LCVP) - Designed by the American Andrew Higgins; this flat-bottomed, box-like boat helped save Britain when thousands of them landed on the D-Day beaches, carrying troops and vehicles for the invasion of Europe. 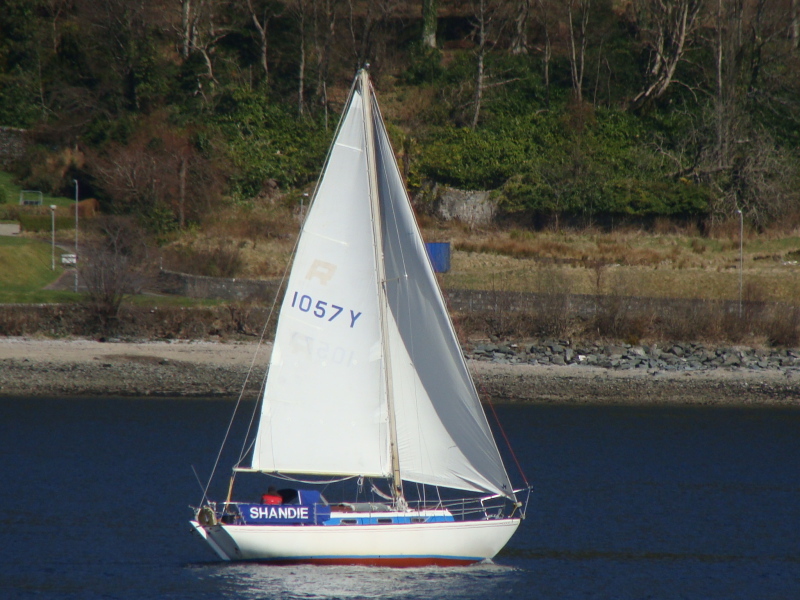 Bernard Hayman was a member of the Royal Burnham Yacht Club. Early in the season of 1971 he set off from his home mooring to sail ‘Barbican’ to Clyde Week for reporting on the racing. 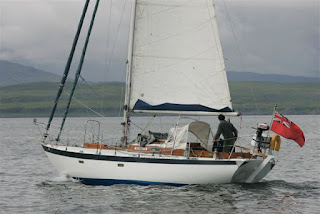 In a series of 200 mile ‘hops’ he took her up the east coast of England and Scotland to Inverness, then though the Caledonian and Crinan Canals to Helensburgh and the Royal Northern Yacht Club. After Clyde Week he headed south and called into Holyhead, Milford Haven, Plymouth and Portsmouth, later returning to Burnham. 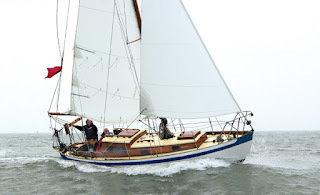 He also sailed ‘Barbican’ to St Petersburg in the late 1970s when he and his crew became the first British yachtsmen to visit Russia since the close of the Second World War. If ‘Barbican’ has sister ships, they should not be confused with Barbican 30s designed by John Sharp and built by Barbican Yachts of Plymouth. 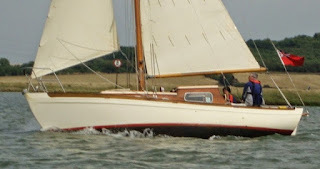 Barbican Yachts also built the Barbican 33 by the same designer. 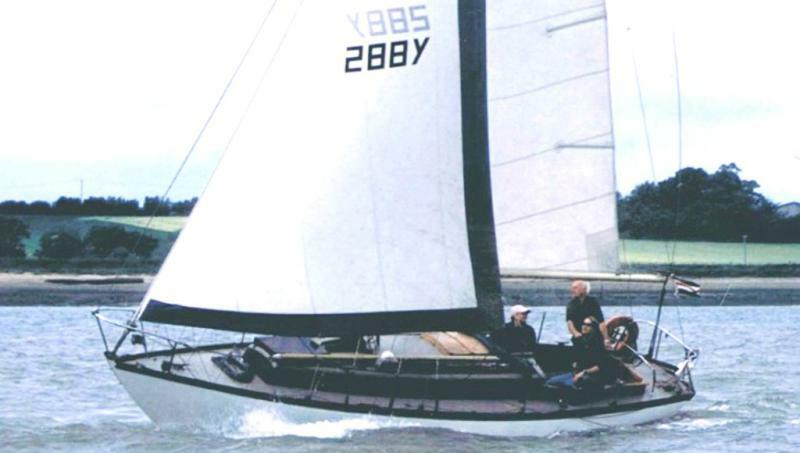 The Barbican 33 Mk 2 was designed by Maurice Griffiths.